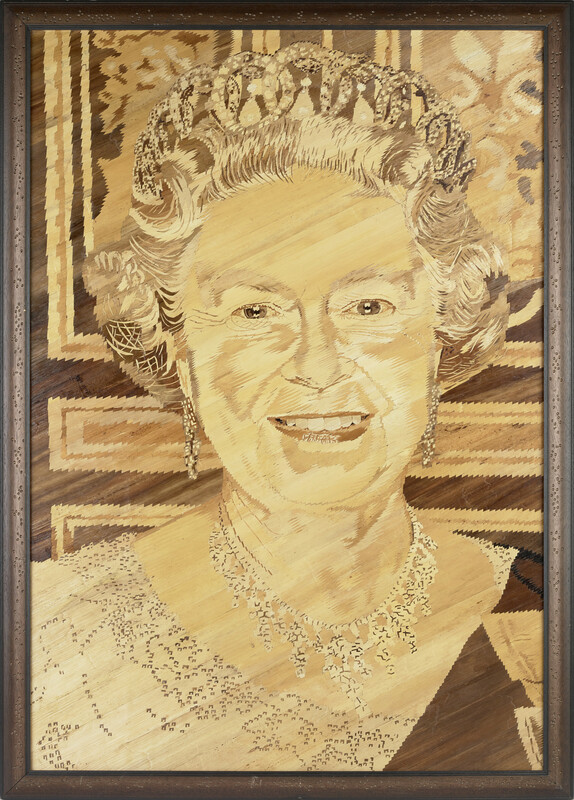 This framed portrait of Queen Elizabeth II is created by weaving together several shades of dyed banana leaves. The effect is an almost smooth surface and an intricately shaded portrait. The portrait has used The Queen's official Golden Jubilee photograph as its base, in which The Queen is wearing the Grand Duchess Vladimar tiara, with pearl drops, the sash and star of the Order of the Garter and the family orders for her grandfather George V and her father George VI.